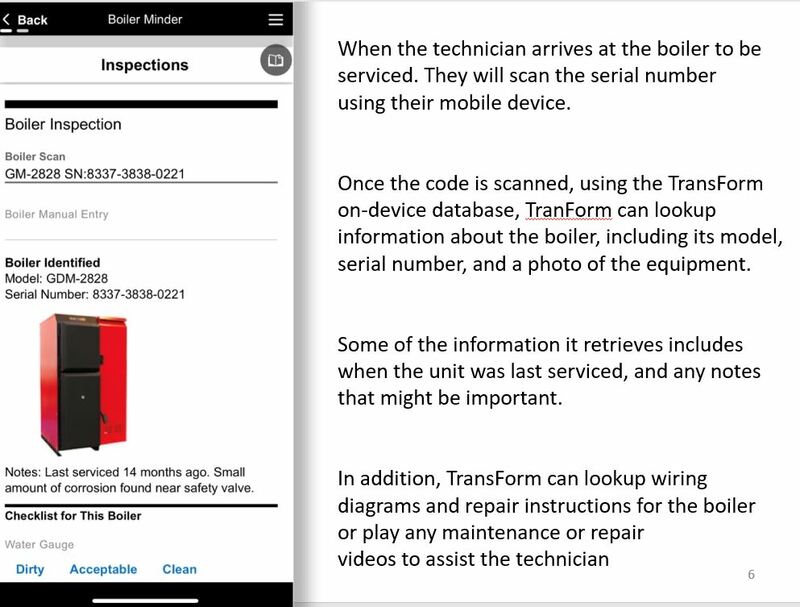 As Alpha Software customers begin to adopt and leverage Alpha TransForm within their businesses, we will regularly share success stories from the users who are building real business apps with TransForm. 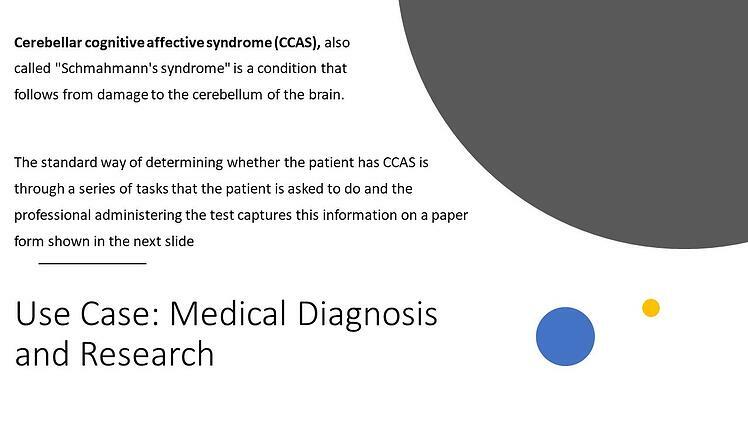 The slides below showcase how a user in the medical field -- in fact a leading neurologist who heads up the laboratory for Neuroanatomy and Cerebellare Neurobiology at one of the leading hospitals in the country used TransForm to build a smartphone app in minutes that allows neurologists to dramatically improve the capture of critical patient data to improve and speed up the diagnosis of Cerebellar Cognitive Affective Syndrome (CCAS) (a.k.a., Schmahmann's Syndrome). 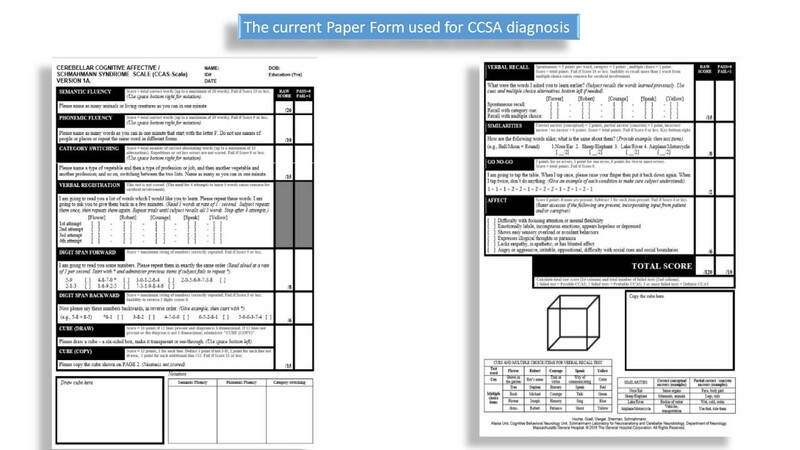 Previously, doctors captured text-only data via a paper form. 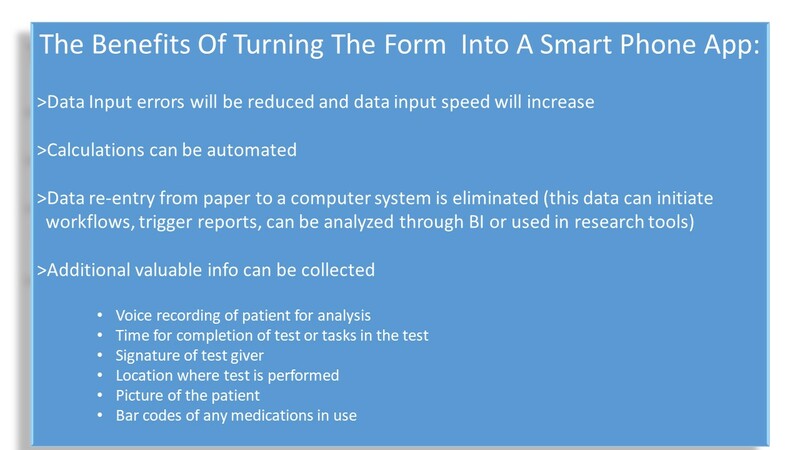 The paper was tedious, did not take into account the voice input from the patient and other factors and risked data inaccuracy and time lags while the data was keyed into a medical or research system and processed. 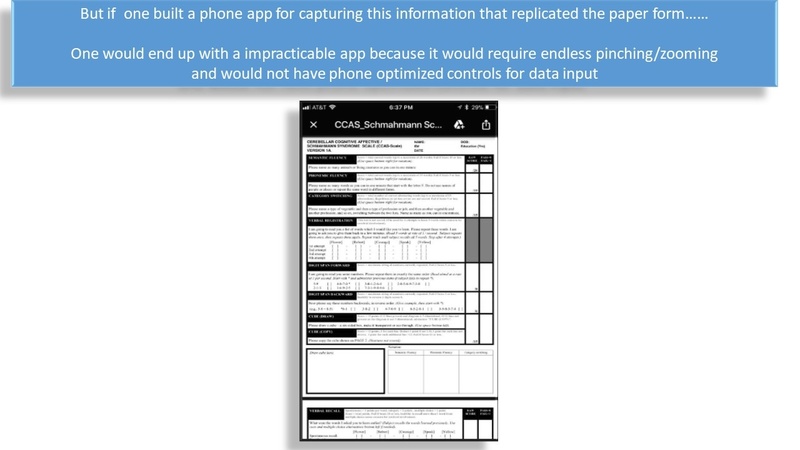 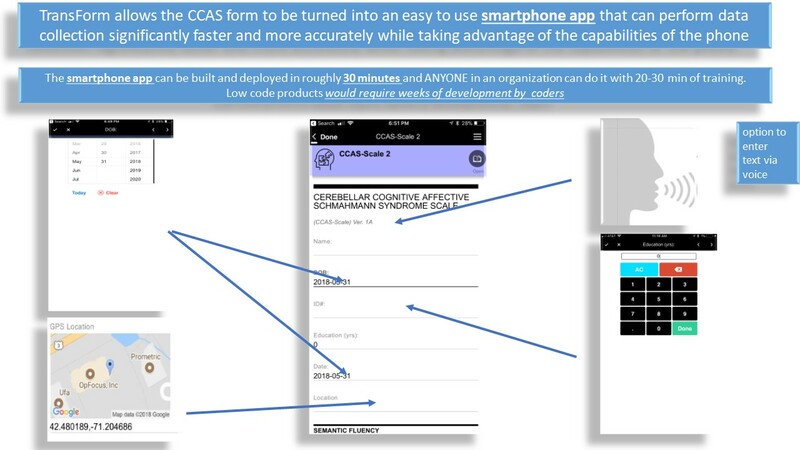 Using the data-capture smartphone app built with TransForm, a doctor can now incorporate audio, and images with annotations into the patient interview and data-gathering process, The keyboard is optimized to speed capturing all types of numerical and text data, and calculations and GPS location is done automatically. 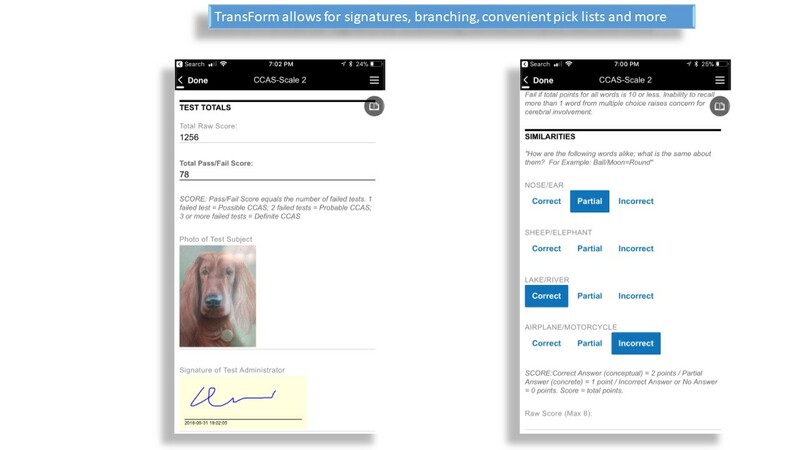 Doctors can sign the form and submit it directly into system(s) of record -- all from their own smartphone. 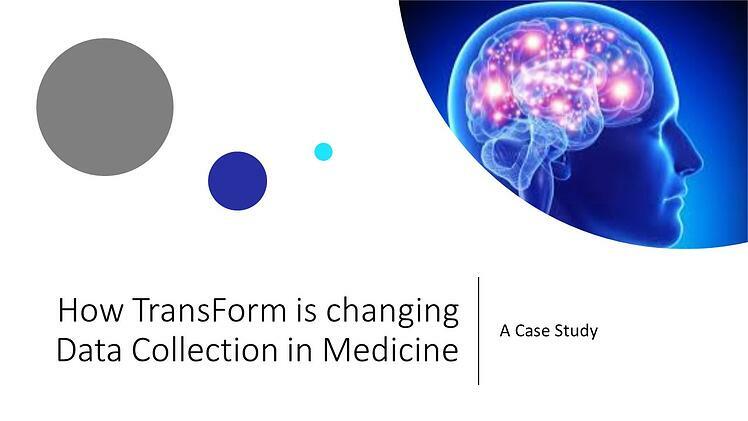 This new process, made possible with TransForm, dramatically speeds data capture and patient diagnosis while improving data accuracy and quality. 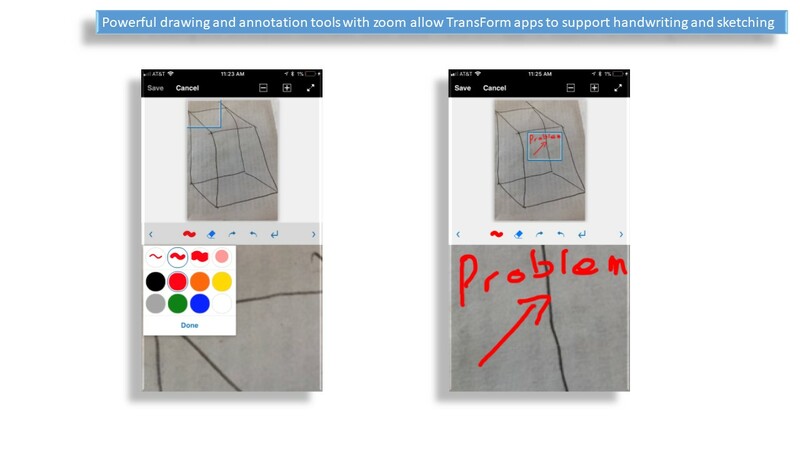 The slides below walk through the paper process and the impact the transition to a TransForm smartphone app and provide screenshots of the app. 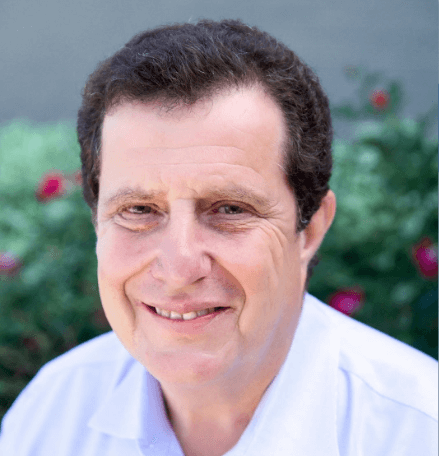 Alpha Software and its new TransForm technology enables business domain experts (a.k.a., citizen developers) and IT departments to work together to quickly and effectively digitize business processes and deliver tangible business impact. 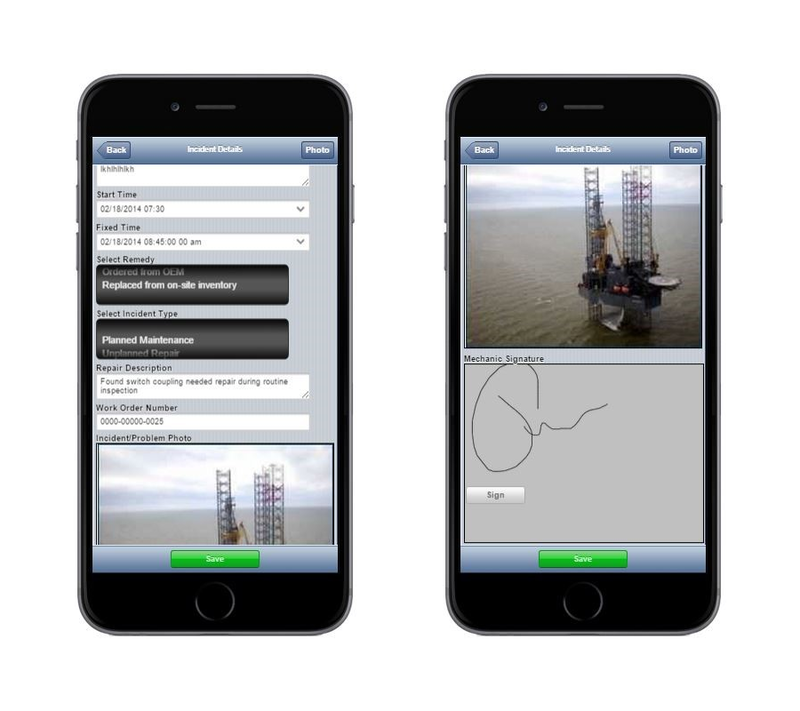 The technology lets line-of-business experts build mobile apps using their insight regarding workflow needs and efficiencies, while simultaneously enabling IT to control data integration with systems of record, and data security compliance. 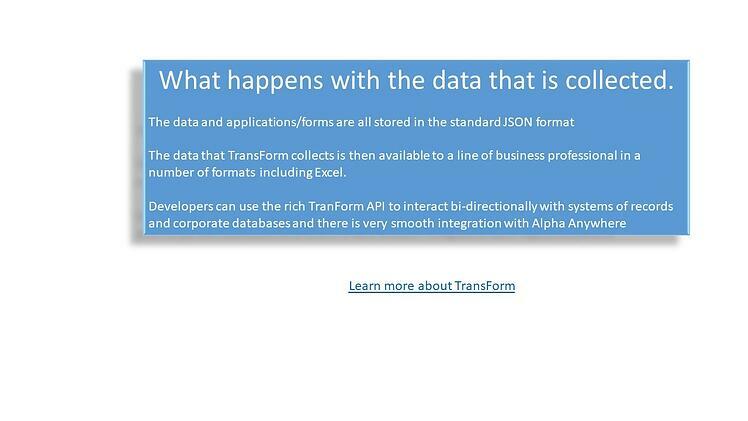 Check out our 90-second video about TransForm, and get more details about TransForm here. 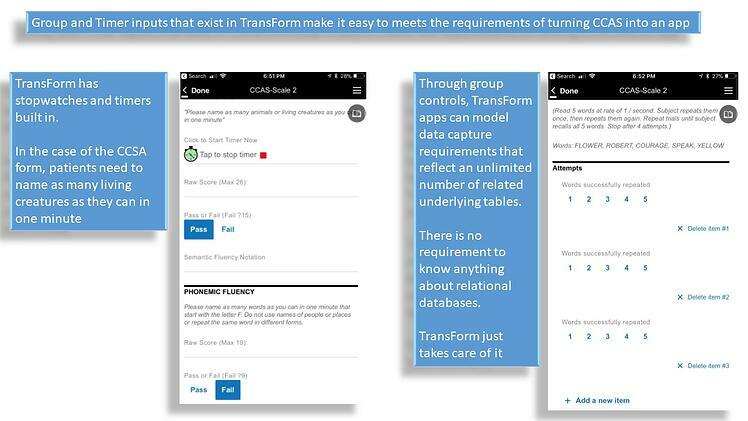 If you would like to explore how Alpha TransForm could help your organization empower citizen developers, contact mike.gongwer@alphasoftware.com.